iPad Cases There are 3 products. 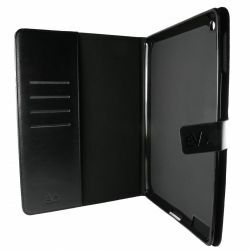 This smart iPad 2 Case in black protects your iPad with a slim fit whilst offering all round protection. Also fits the iPad 3 and iPad 4 With slots inside to store your documents and access to all ports. 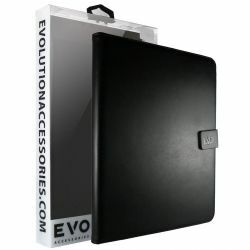 This smart iPad Mini Case in black protects your iPad with a slim fit whilst offering all round protection. Also fits the iPad Mini 2, 3 and 4 With slots inside to store your documents and access to all ports. This smart iPad Air Case in black protects your iPad with a slim fit whilst offering all round protection. With slots inside to store your documents and access to all ports.